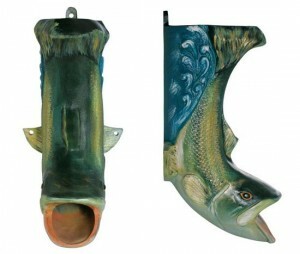 Aluminum Downspout Boot – Fish. Example was painted by customer. 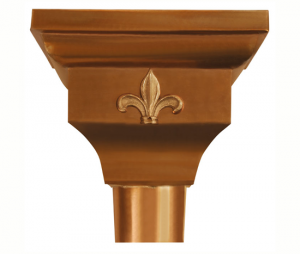 Copper Traditional Leader Head with Fleur-de-Lis cut off attached.